After Google paused investment in Allo back in April, we somehow knew this day was coming. In a blog post shared on 5 December, Google has announced that it will officially end support for the chat app by end of March 2019. 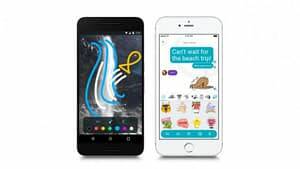 Google writes, “Allo will continue to work through March 2019”, which means that post March next year, Google will shut down the app. The good thing though is that until March 2019, you can download all of your existing conversation history from the app. Ensure you have the latest version of Allo running. Head to the Allo app, click on the menu icon and then Settings. Scroll to find the option called Chat. ‘Export messages from chats’, which will only include text messages and not the media. ‘Export stored media from chats’, that includes photos, videos, and other files. If you’d like to choose between the two, you could do that, or run both the downloads. Once downloaded, you can go to your chosen folder to access all your data from Allo.